NASA: Transmitira en vivo la primera lluvia de estrellas del 2012 "Las Cuadrantidas"
The 2012 Quadrantids, a little-known meteor shower named after an extinct constellation, will present an excellent chance for hardy souls to start the year off with some late-night meteor watching. Peaking in the wee morning hours of Jan. 4, the Quadrantids have a maximum rate of about 100 per hour, varying between 60-200. The waxing gibbous moon will set around 3 a.m. local time, leaving about two hours of excellent meteor observing before dawn. 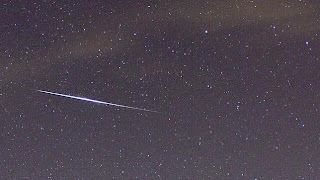 It's a good thing, too, because unlike the more famous Perseid and Geminid meteor showers, the Quadrantids only last a few hours -- it's the morning of Jan. 4, or nothing. Like the Geminids, the Quadrantids originate from an asteroid, called 2003 EH1. Dynamical studies suggest that this body could very well be a piece of a comet which broke apart several centuries ago, and that the meteors you will see before dawn on Jan. 4 are the small debris from this fragmentation. After hundreds of years orbiting the sun, they will enter our atmosphere at 90,000 mph, burning up 50 miles above Earth's surface -- a fiery end to a long journey! The Quadrantids derive their name from the constellation of Quadrans Muralis (mural quadrant), which was created by the French astronomer Jerome Lalande in 1795. Located between the constellations of Bootes and Draco, Quadrans represents an early astronomical instrument used to observe and plot stars. 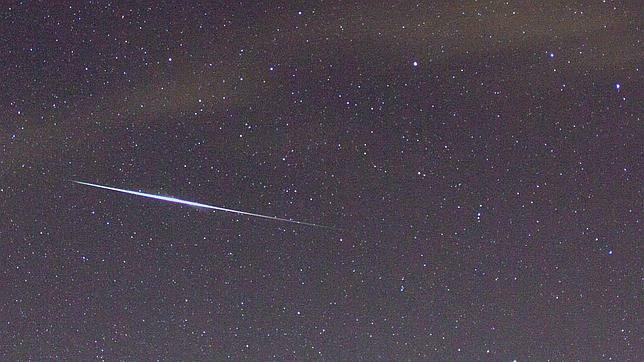 Even though the constellation is no longer recognized by astronomers, it was around long enough to give the meteor shower -- first seen in 1825 -- its name. Given the location of the radiant -- northern tip of Bootes the Herdsman -- only northern hemisphere observers will be able to see Quadrantids.